Ernie Storrer with DKI member company, BALES RESTORATION, and DKI member company, France & Co., were presented with two of RIA’s annual awards. Feb. 22, 2018 – DKI, North America’s largest disaster restoration contracting organization, proudly announced that two recipients of this year’s Restoration Industry Association’s (RIA) prestigious awards are DKI members. Ernie Storrer, owner of DKI member company, BALES RESTORATION in Lynwood, Wash., earned the 2018 Martin L. King Award for his continuous exceptional service and dedication to the restoration industry. DKI member, France & Co. out of Wenatchee, Wash., was recognized for the Phoenix Award for Innovation in Restoration. Both awards were presented the evening of February 14, 2018 during RIA’s International Restoration Convention and Industry Expo in Austin, Texas. The MLK Award is RIA’s highest individual industry honor, presented each year at the convention’s reception and awards banquet. Last year’s winner, Ken Larsen, CR, WLS, CMP, announced the current award, recognizing Storrer as a leader to many within the restoration industry. Having served on the committee that developed the Safe Harbor Initiative, Storrer studied the litigation surrounding RIA members and industry stakeholders, held informational meetings, and even organized a charitable auction, helping raise over $50,000. He has manufactured essential equipment, published articles and held several courses to help better and educate our industry. These examples are only a glimpse into Storrer’s achievements throughout his over 30-year long career. Phoenix Award recipients are also presented during each year’s convention. The Phoenix Award for Innovation in Restoration is awarded to a contractor or firm for a residential or commercial restoration project, which does not include building reconstruction, but may include the restoration and/or remediation of a structure and its contents. 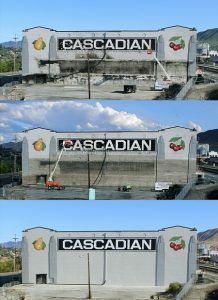 DKI member company, France & Co. earned this award for a water loss they completed on March 28, 2016 at Cascadian Fruit Shippers Warehouse in Wenatchee, a historic cold storage facility that was once the world’s largest apple cold storage facility. The parking/loading area of the warehouse was flooding, resulting from firefighters extinguishing a fire at its adjoining building the night prior. This project presented numerous challenges that France and Co. was able to successfully overcome, while upholding the historical integrity of the facility. The complete case study on France & Co. will be available in the March issue of C&R Magazine. “DKI is proud of our members’ standing commitment to excellence, and congratulates both Ernie Storrer and France & Co. for these prestigious recognitions,” said DKI President & COO Matt Wright. 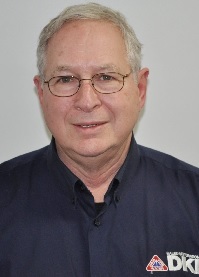 Ernie Storrer is the proud president of Injectidry Systems, which continues to develop new products and solutions for current problems within the property restoration industry, and BALES RESTORATION, a full-service restoration company and member of DKI. Storrer’s career began in the grocery business, then the dry-cleaning and coin laundry business. Learning the ins and outs of both businesses and over time, he expanded his dry-cleaning business to include valet service, cleaning carpets, drapes and upholstery, then eventually, water, fire and smoke restoration services for major local hotels as well as the Red Lion Hotel chain in five different states. His business grew overwhelmingly, so Storrer sold his operations and moved to Seattle, where he purchased Bales, a small, two-man carpet cleaning and repair business. A few years later he founded Injectidry Systems, as he became aware of the critical need for certain types of wall and ceiling drying equipment. Starting slowly (intentionally), and now known as BALES, the company provides a full range of restoration services, and specializes in bio hazards, large scale water damage losses, mold remediation, semi-permanent/ temporary commercial containment systems and disinfection for hospitals, restaurants and other public venues. Both of his businesses are also family-run, involving his wife and children. Storrer is a trained medic for the U.S. Army, having served two years, has a bachelor’s degree in business administration, and held former presidency of the Carpet Cleaners Institute of the Northwest (CCINW). He has served on the Restoration Industry Association’s (RIA) Legal Committee during recent litigation surrounding the Safe Harbor Initiative, and helped raise money and craft legal strategy. He also continues to write articles, hold courses and present at several industry events to educate those within the industry. For more information about Ernie’s companies, visit www.balesrestoration.com and www.injectidry.com. France & Co. is a 17-year member of DKI. As a third-generation family owned business, they have been serving North Central Washington with a complete range of disaster restoration services since 1952. Made up of a team of hard working, trained and certified employees, France & Co. ensures customer satisfaction restoring their property to pre-loss condition, quickly and efficiently, no matter the size of the loss. For more information, visit www.franceandco.com. The Restoration Industry Association (RIA) is the oldest and largest trade association representing the restoration and reconstruction industry with over 1,100 member firms worldwide. RIA serves and represents the interests of its members by promoting the highest ethical standards; providing education, professional qualification and certification opportunities; positively influencing regulations and governmental actions; and advancing the safety, image, efficiency, and competitiveness of industry members. For more information, visit www.restorationindustry.org.